We all have one, without it, we feel like we lost our roots. I’m talking about family. The people who are always there for you. No matter what happens, they will always have your back. I know, always appreciating family can be difficult. Some people say that not your family, but your friends are the people you can truly count on, that they are the family you choose yourself. Well, I disagree. Of course, my friends are really important to me and I couldn’t live without them. But for me, the people who I trust the most have always been my family – my parents and my grandparents. 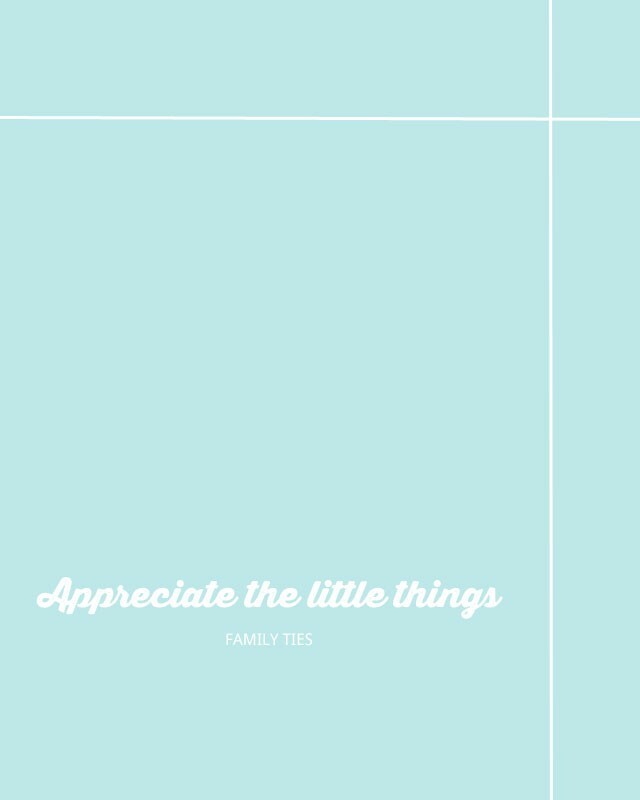 This week, I want to remember you to appreciate your own family. All the little things they are doing for you, fixing and helping out that one quickly takes for granted. Most of the time we don’t even realize it. A few weeks ago, my grandpa passed away. He had been ill for some time, but nevertheless it came like a shock for all of us. We’ve always been a pretty close family and he will surely leave a huge gap. The whole experience has made us grow together even more and shown once again, how important family is. In the last year, I’ve moved to a new city, started university, met new friends, started visiting a new church…in short, made some wonderful new experiences. In the back of my mind, I always thought that everything at home would always stay the same and even though it’s obvious, it took me some time to realize that that’s just not true. And it made me value my time at home even more. Today is a public holiday in Germany, so I’m back at home for three whole days. I want to try my best not to work (too much), to stay away from the computer and e-mails, just to spend time with everybody and treasure that. Maybe I’ll bake some cookies with my brother, play some board games (for the first time in forever) with the whole family, pay my grandma a visit and bring over some fresh buns. I’m really looking forward to it. Why don’t you do the same this weekend? And if you’re living to far away from home, just call.